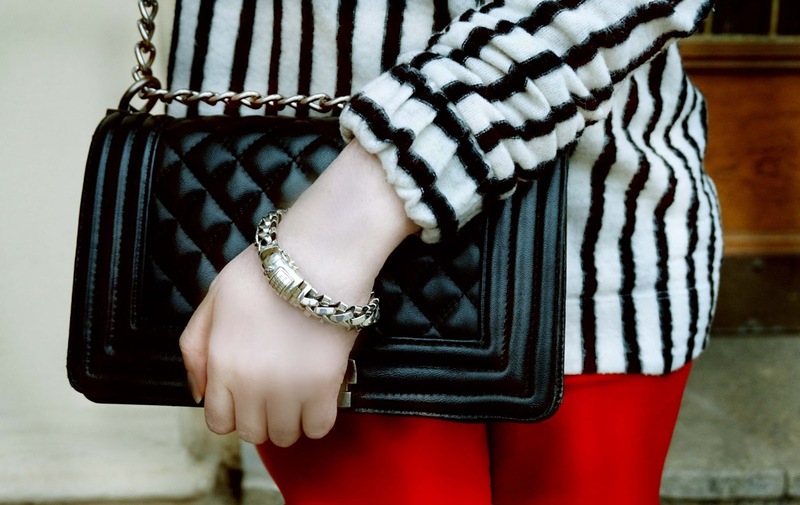 I was searching a great silver bracelet weeks and weeks before which I can wear it to a nice dress for a dinner or together with my leather pants and leather jackets and this one was the best! It looks so great when you wear a cozy sweater like me today or when you go out with a coat or only in the summer with a dress, shorts or a cool shirt! The silver is great too and have a great quality. 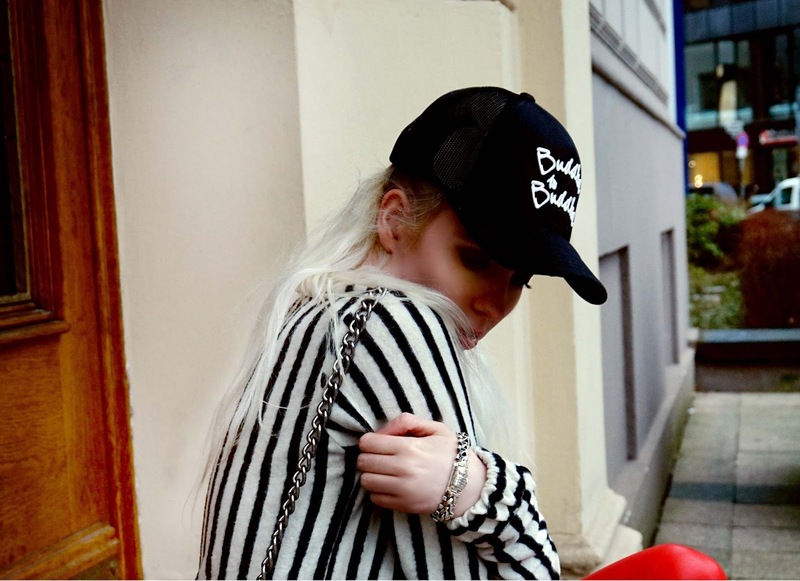 The rest of the look today is a cap from Buddha to Buddha too ( I cant wait to wear the cap at the sunny days in LA ) a leather skinny pants by Ralph Laureen and sneakers by Isabel Marant and this super cozy sweater with the black and white stripes are from Zara! Super look und tolles Armband ! Ich finde deine Lederhose echt Mega cool es ist schwer so eine tolle Lederhose zu finden die gut sitzt! That bracelet is super cool and stylish! But girl, you are seriously so beautiful. Those red pants are amazing on you.